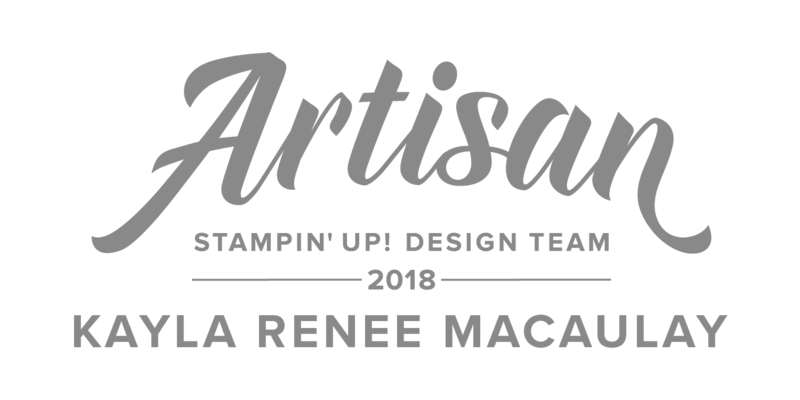 Hello everyone and welcome to my very first post as a member of the 2018 Stampin' Up! Artisan Design Team. I am really excited to have been asked to join such an amazing and talented group of crafters from around the world to showcase these amazing products. 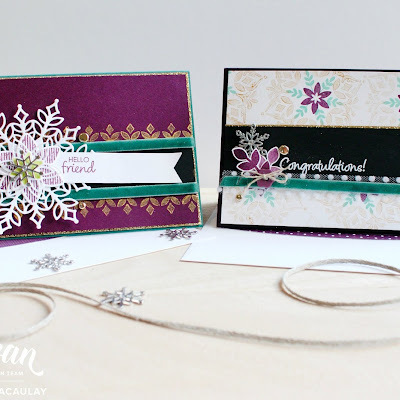 As our very first assignment kick off we were asked to feature one of the amazing Sale-a-Bration stamp sets to celebrate this amazing time of year with Stampin' Up! 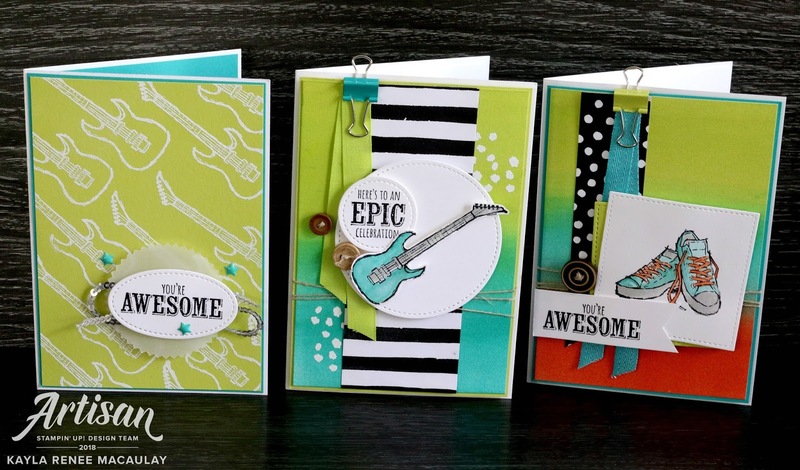 SHOP - It's an amazing Stampin' Up! sale that happens each and every year and Stampin' Up! release a whole mini catalogue full of FREE products. 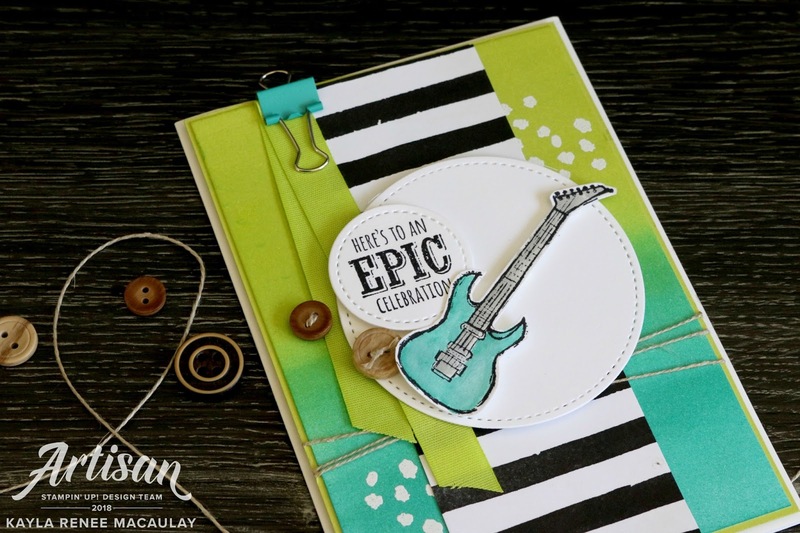 This blog hop features some of the free stamp sets you can earn. SPEND $180 - Earn ONE free Level 2 product OR TWO free Level 1 products. If you want to see all the options for freebies you can see them in my store here. There are also two more amazing ways of taking advantage of some amazing Sale-a-Bration offers. HOST - If you host an online or in person workshop or place an order of over $400AUD you will receive an EXTRA $40 in Stampin' Rewards on top of what you will already receive to spend back on whatever you like. JOIN - If you join my team during Sale-a-Bration you can join for $169, choose $235 of products of your choosing AND get TWO additional FREE stamp sets of your choice! You can join my team here. I was asked to do a product focus on the absolutely amazing Epic Celebrations Stamp Set. 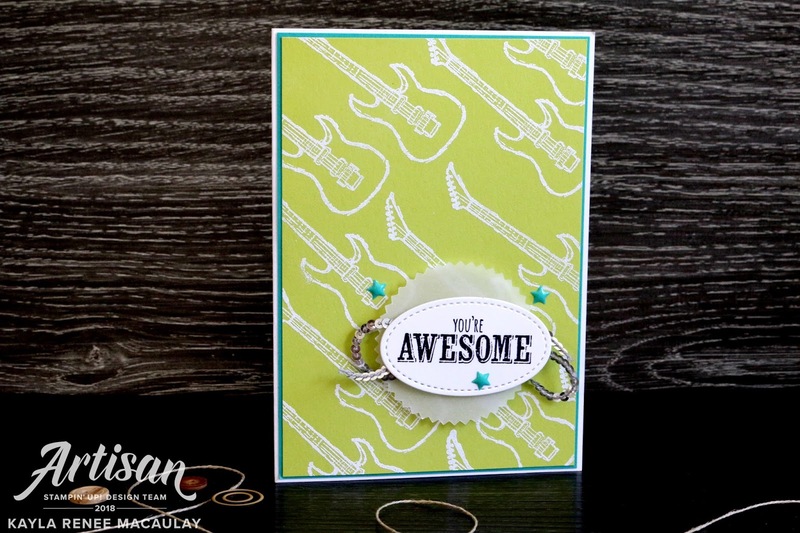 This stamp set was a great fit for me as my lovely partner Declan is a guitarist so I thought this was perfect. It's a great stamp set for the men, teenagers or young at heart! 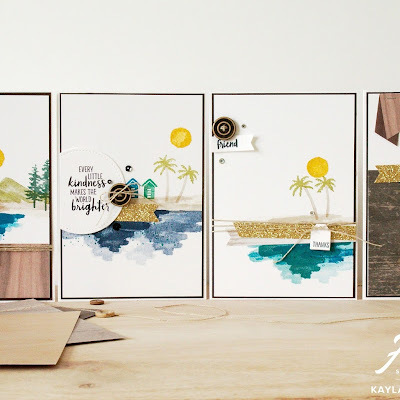 I hope you enjoy my post and get some inspiration with this stamp set that you can earn for free by placing a qualifying order at the moment. Here's a look at the set of three cards I made. I was inspired by a bright colour palette for these cards as I wanted to take a youthful and fun approach to these fun cards. Lemon Lime Twist is a firm favourite colour of mine and I absolutely adore it when combined with Bermuda Bay. I kept the same colour palette across the cards but went with slightly different layouts and designs for each. This one is possibly my favourite card of the three. I love the colour combination and I love it when paired with this Petal Palette Designer Series Paper. Black and White stripes are a personal favourite. I love that you can pair them with just about anything! I coloured my guitar with a mixture of Smoky Slate and Bermuda Bay Stampin' Blends. I also added finishing touches to my card with some Lemon Lime Twist Finely Woven Ribbon, Birthday Mini Binders Clips and then some of the gorgeous True Gentleman Wooden Buttons. Below is a close up of the finished card. I wanted to also experiment with making a background of white embossed guitars. It's actually quite a simple card that is relatively easy to make. 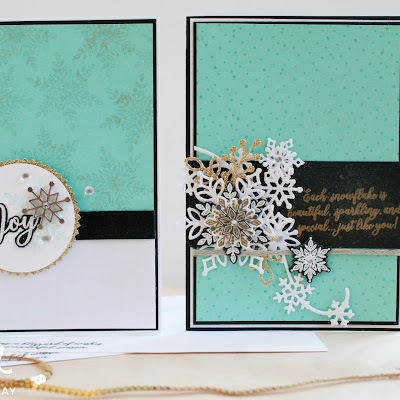 I love repetitive stamping and the dramatic effect it can give a background without really needing to do much. I finished off this fun card with a vellum layering punched with the Starburst Punch, one of the fun sentiments from the Epic Celebrations Stamp Set stamped on an oval Stitched Shapes Framelits and finally embellished with some Brights Enamel Shapes and some Mini Silver Sequin Trim. The last card I made in my trio of fun cards was using the gorgeous sneakers/shoes. They remind me of Converse shoes and they are so fun! My son and I love our Converse so I just had to use this image on one of my cards. I layered two squares in Lemon Lime Twist and Whisper White using the square Stitched Shapes Framelits. I then coloured my shoes with a mixture of Pumpkin Pie, Bermuda Bay and Smoky Slate Stampin' Blends. 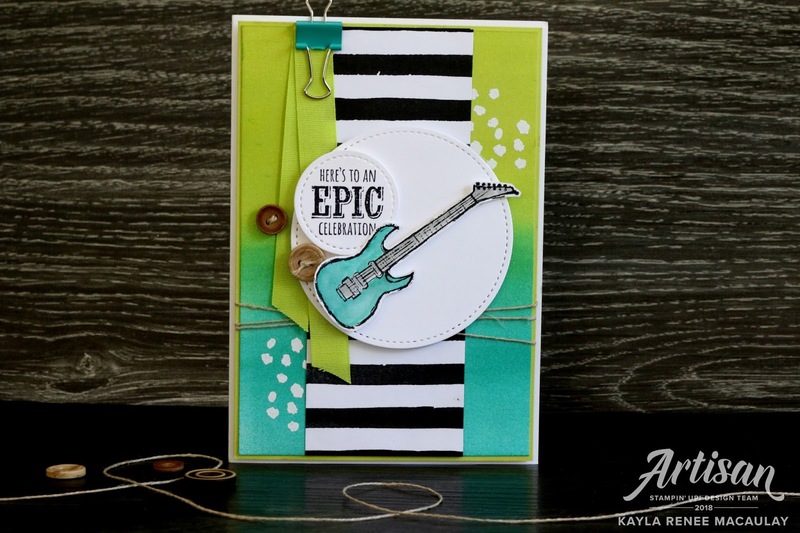 The background of this card I sponged in three colours using Stampin' Sponges; Lemon Lime Twist, Bermuda Bay and Tangerine Tango. I love the blended colours in between and how they blend together so smoothly. The important thing to remember when ink blending, is less is more! You can always add more colour, but you can't take it away. A soft touch is always best. I finished up the card with some Petal Passion Designer Series Paper (the gorgeous spotty dots in a classic black and white are gorgeous!) and some Bermuda Bay Mini Chevron Ribbon, Birthday Mini Binder Clips, True Gentleman Buttons and some Linen Thread.